From last weekend after I got caught in a somewhat fierce and sudden rain. 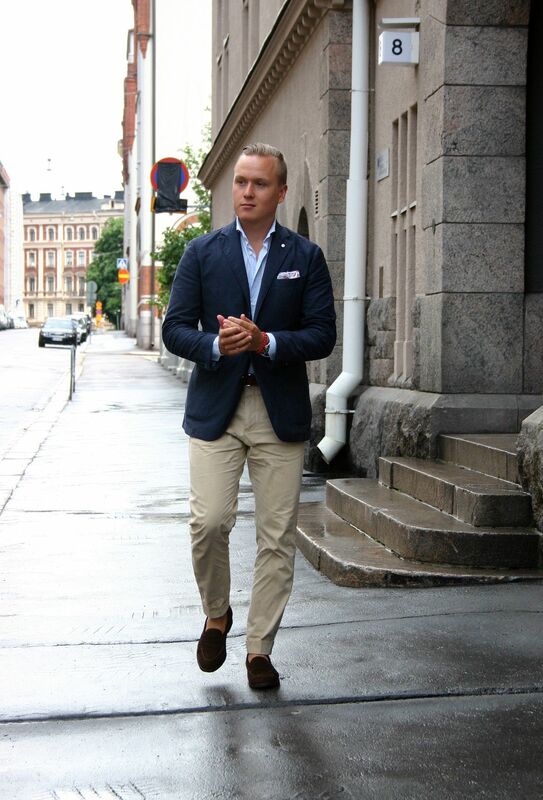 A semi casual combination for a day off in the summer with small splashes of color. The jacket is from LBM 1911, printed cotton shirt from SuitSupply, pocket square from Drake's London, belt from Alden, trousers from SuitSupply and shoes from Septième Largeur. After a long break I've really started enjoying using red in small amounts to brighten up various summer outfits. 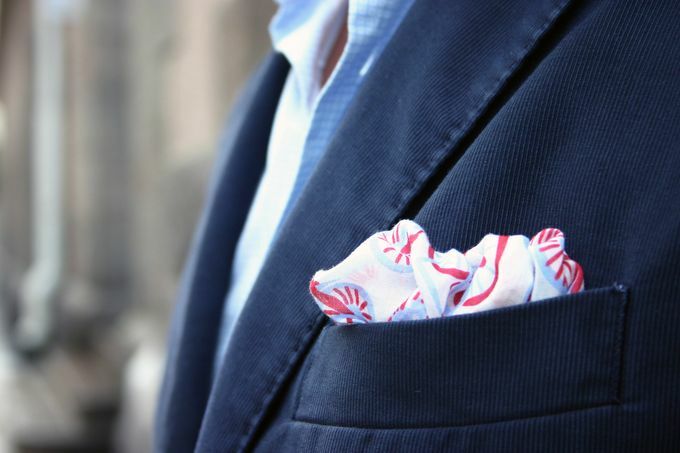 This Drake's cotton pocket square is just the perfect companion with a red tie or like in this occasion, a red coral bracelet.